There are so many wonderful things that come from moving: the excitement of a new home and the peace and contentment that follows, just to name a few. Unfortunately, there is a major downside…. a freezer that is completely bare of treats to satisfy an immediate craving. Obviously, something had to be done quickly. 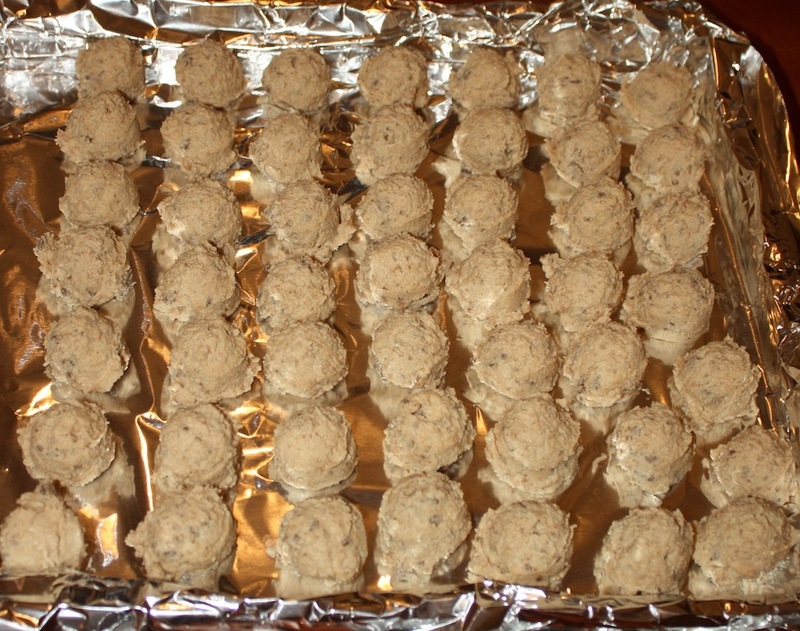 I was about to make a batch of Chocolate Chip Cookie Dough Truffles, because they are always a favorite grab and go delight. As I was reaching into the pantry to get the ingredients, I spotted a bag of Heath Bar Crunch, which is basically Heath Bars that have been smashed into little pieces. How quickly I forgot about the chocolate chips. As with the other truffles, it took no time at all to whip up a batch, which worked out quite nicely because I still had boxes to unpack. I was able to get through quite a few of the boxes while the truffles set in the freezer before I had to dunk them into melted chocolate. 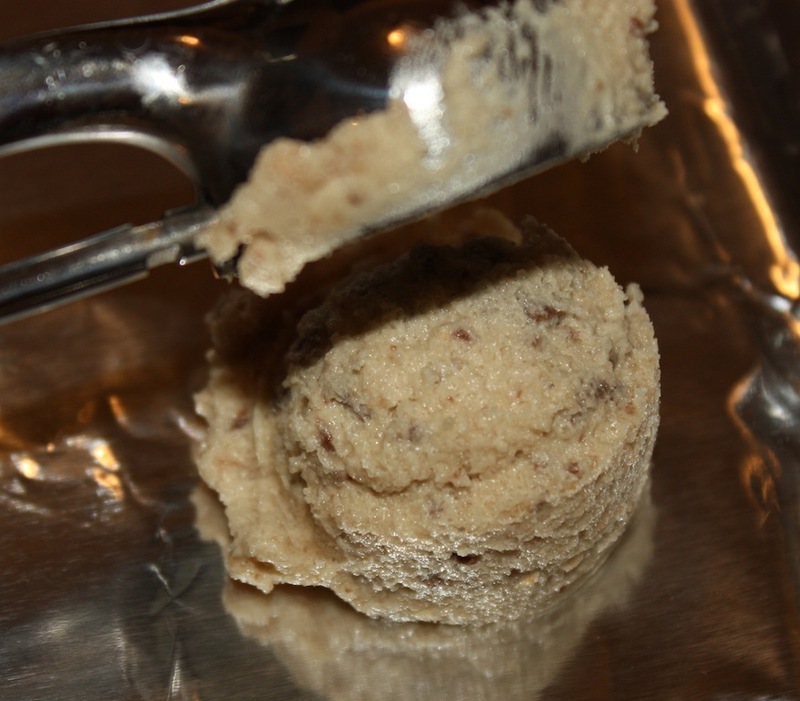 The end result is another fabulous Cookie Dough Truffle recipe, although this one is a tad sweeter than its chocolate chip cousin. 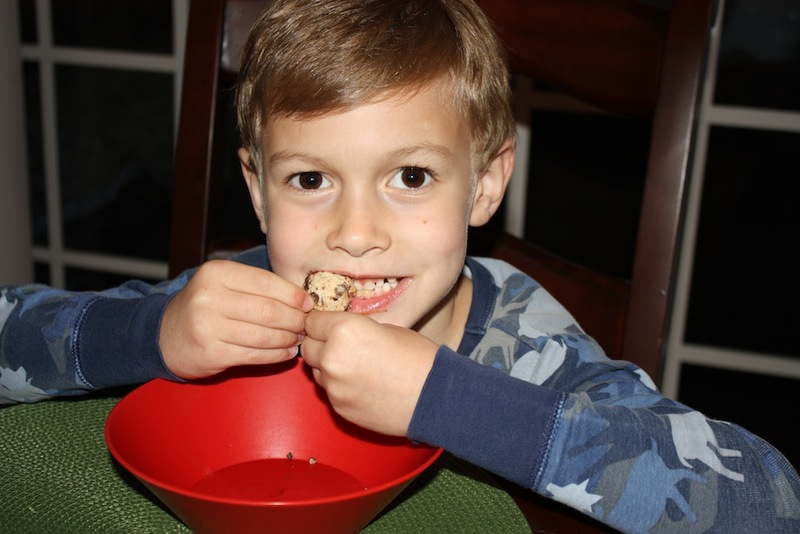 There is really only one prerequisite to enjoying Heath Bar Cookie Dough Truffles…you must like Heath Bars. 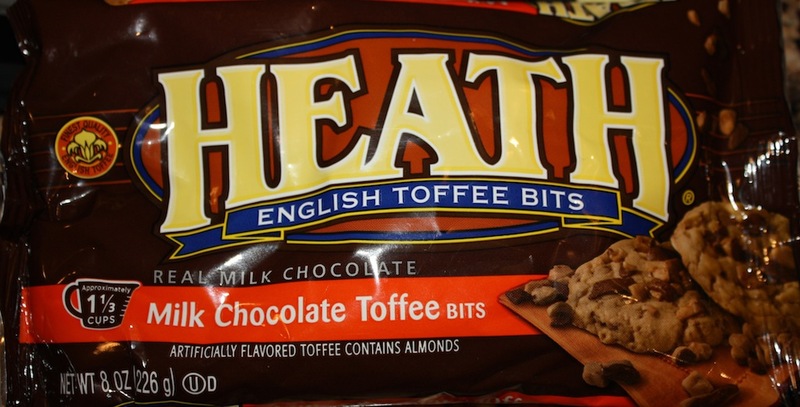 I learned this quickly when Shoshana, who does not love Heath Bars, took a bite. Good to know, and fortunately for me, both Samuel and I love the candy bars. 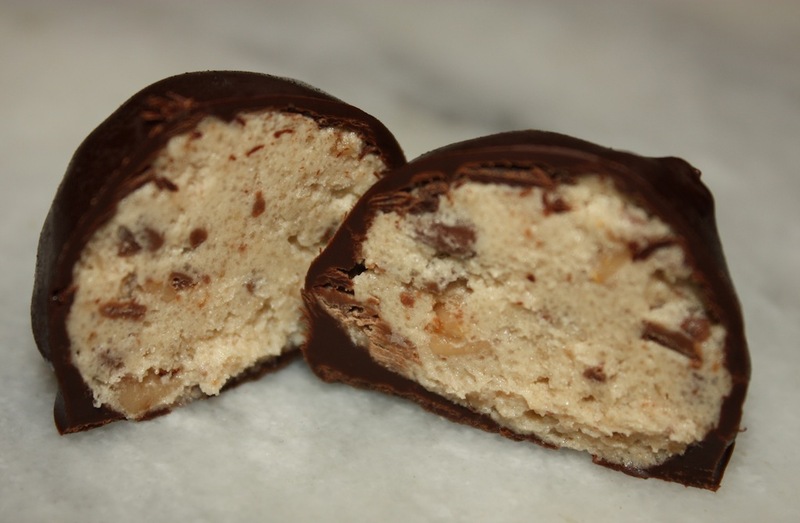 Today, Heath Bar Cookie Dough Truffles hit the spot to satisfy my sweet tooth. As for tomorrow, well, we will have to wait to see what ‘calls’ out to me from the kitchen. It is often as much a surprise to me as it is to you. 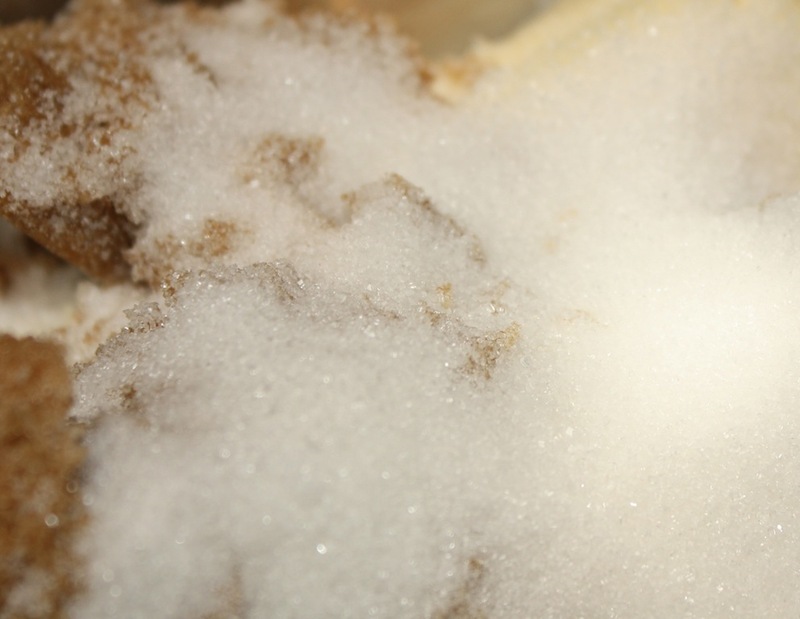 Combine the butter, brown sugar and sugar together in a large mixing bowl. 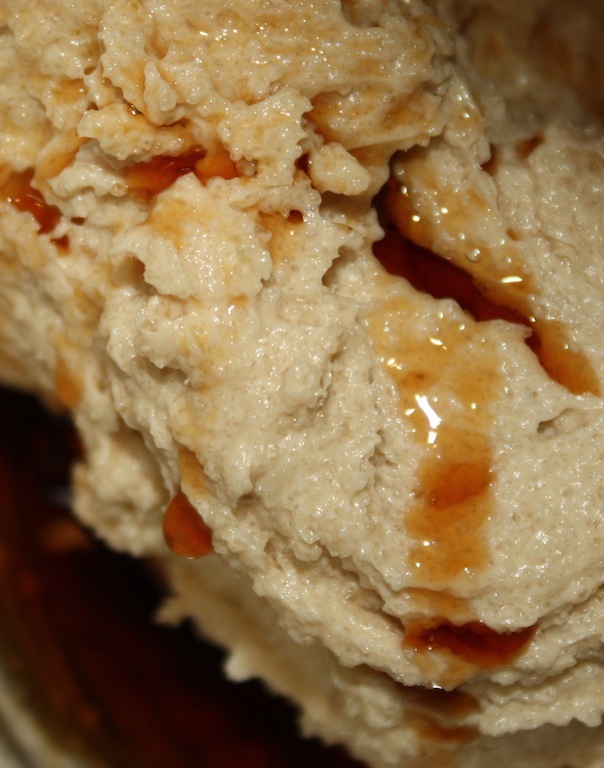 Beat until creamy, about 3 minutes, scraping the bowl down as needed. 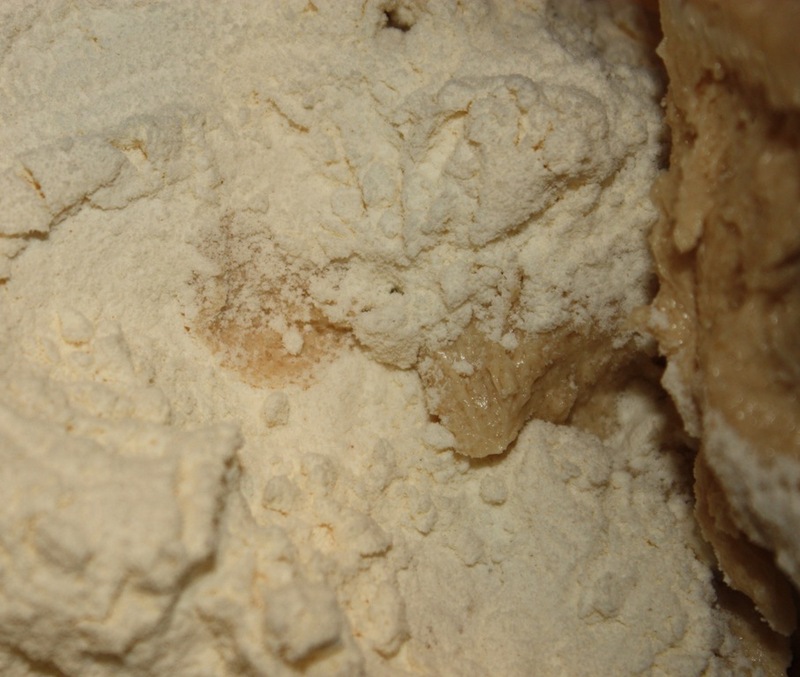 Add in vanilla and then the flour. 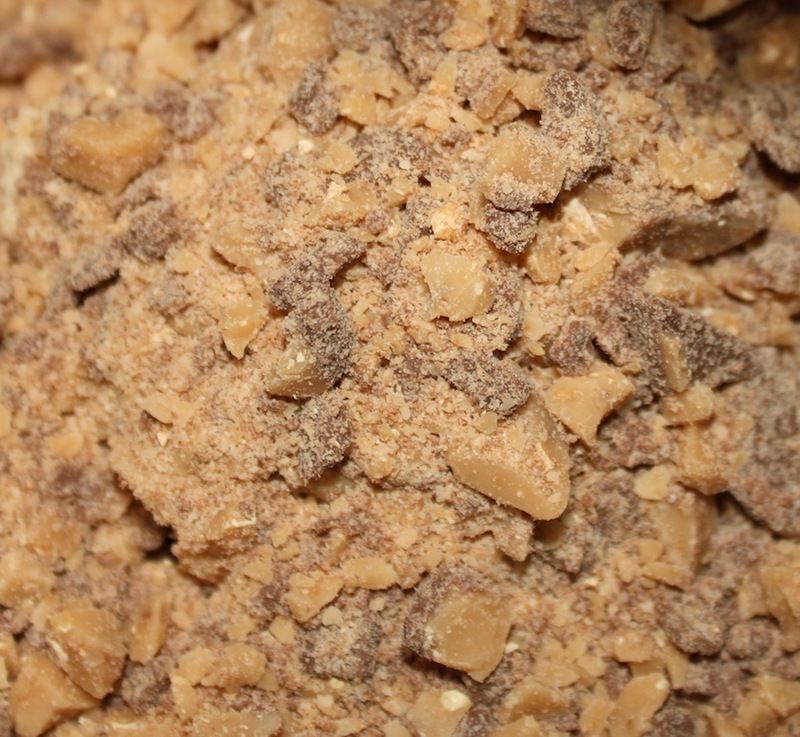 Lastly, blend in 1¼ cups Heath Bar chips. 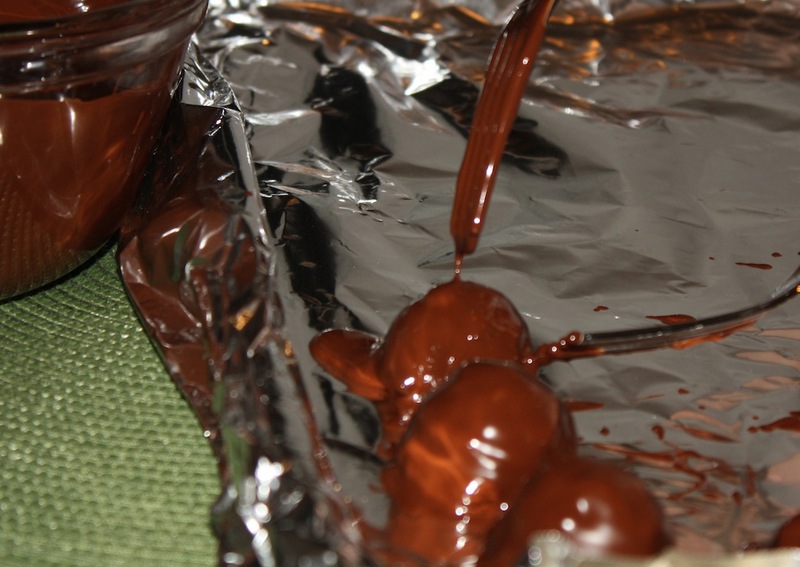 Melt 2¼ cups chocolate chips. 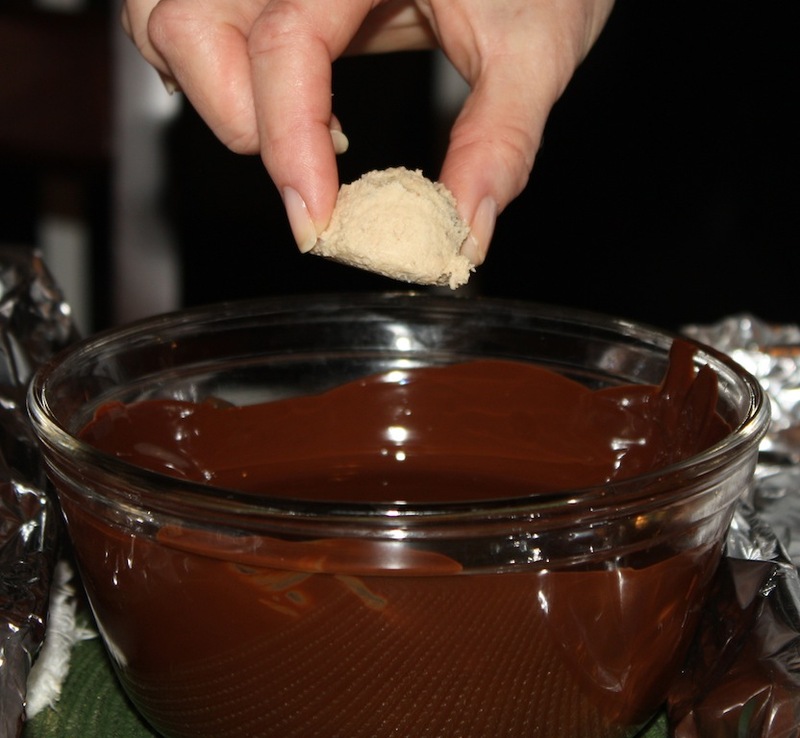 Dip the frozen cookie dough scoops, one at a time, into the chocolate. 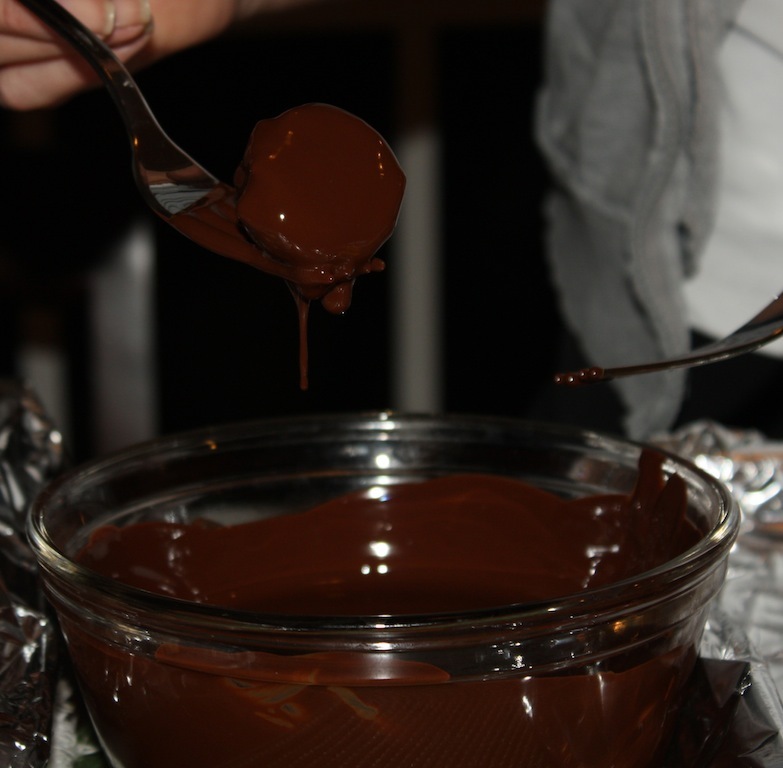 Cover with chocolate and use a fork to transfer truffles onto aluminum foil lined pan. Freeze until the chocolate is set. Transfer the truffles to a plastic freezer bag and store in the freezer until needed.